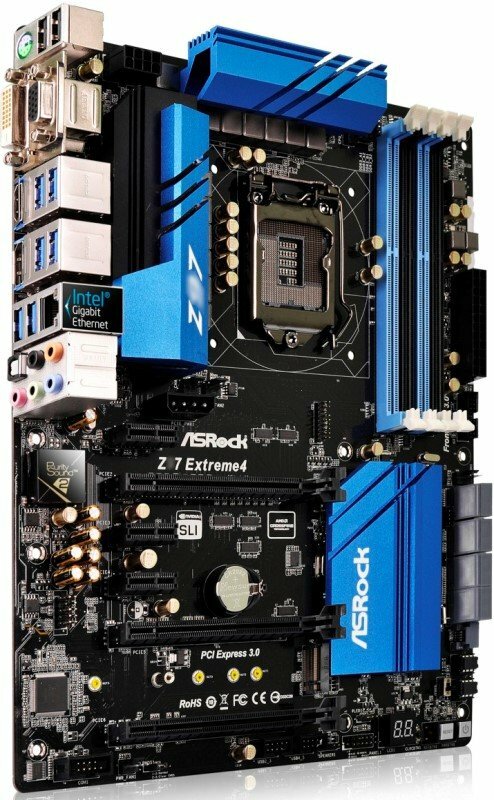 Aside from the Fatal1ty Killer series and OC Formula, ASRock’s Extreme series Z97 motherboards were also revealed. 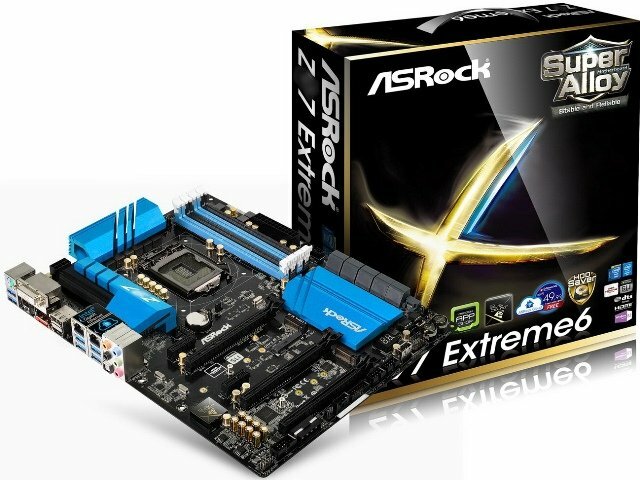 The new Extreme series includes ASRock Z97 Extreme 6, Z97 Extreme 4 and Z97E-ITX/ac motherboards. 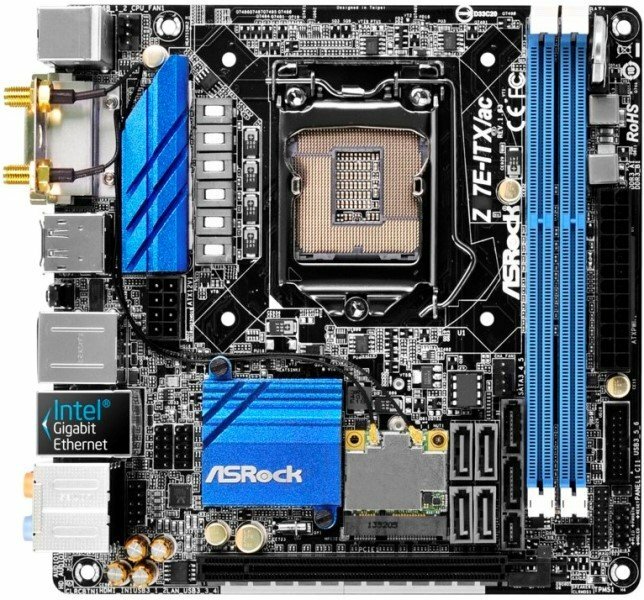 These three motherboards features a new and fresh Blue and Black color combination. Aside from the new Intel Z97 Express Chipset, they also feature Premium Gold Capacitors, Digi Power VRM Design, Dual-Stack MOSFET, Nichicon Fine Gold Audio Caps, Intel Gigabit Ethernet Port and many more. Check out some of their respective features and specifications below. 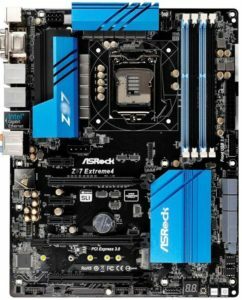 The ASROck Z97 Extreme 6 is one of the top tier Z97 motherboard from the Extreme series lineup. 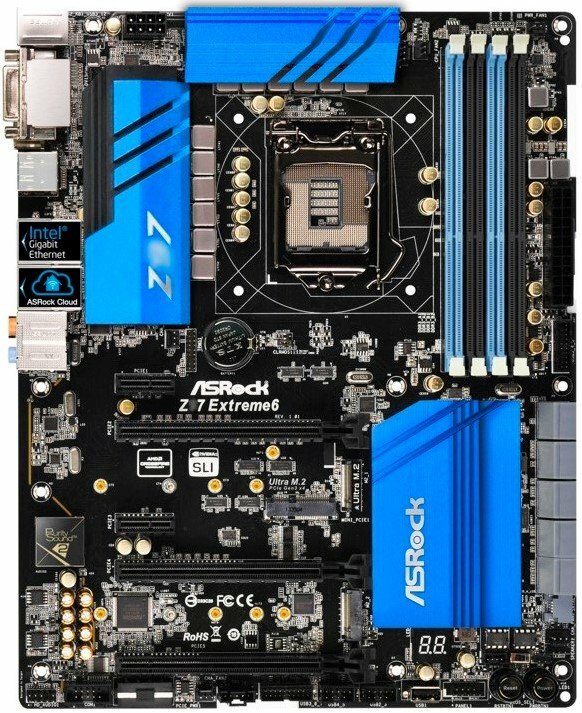 I don’t believe that this will be their flagship motherboard from the Extreme series, since I am expecting to see an Extreme 9 and 11 variant soon. Anyway, the Extreme 6 features an Intel LGA Socket 1150 that will support the current 4th gen Intel Haswell, upcoming Haswell Refresh, Devil’s Canyon and 5th Gen. Broadwell processors. Like its predecessor, it has a 12 Power Phase Design with Digi Power, Premium Gold Capacitors and Dual Stack MOSFETs. It draws its power from an 8pin power connector, as well as a standard 24pin ATX power connector. It has 4x DDR3 DIMM slots which will probably support memory speeds of up to 3000MHz+ (OC) and capacities of up to 32GB. The Z97 Extreme 6 has 8x SATA 6 Gbps ports and a SATA Express port. It also has an Ultra M.2 PCIE Gen3 slot for add-in card and two M.2 PCIE slots for NGFF SSD. This is the first Z97 motherboard that I saw having this much number of M.2 PCIE ports. You can basically put two M.2 NGFF SSDs and configure it as RAID 0, for an ultra-fast Read/Write speed. There are also two BIOS chips, a LED debug display, lots of headers, and onboard power and reset buttons. On lower half of the MSI Z97 Extreme 6 are 3x PCIE 3.0 x16 slots, supporting SLI and CrossFireX muti-GPU configuration, and 2x PCIE 3.0 x1 slots for add-in cards. There is also an addition power source connector below the last PCIE 3.0 x16 slot (probably a 4 pin Molex), for multi-GPU setup. It features Purity Sound 2 Audio core with EMI shielding and Nichicon Fine Gold Audio caps. The board has also two LAN port, one is an Intel Gigabit Ethernet and the other is for ASRock Cloud. Now let’s take a look at the not-so-highend Extreme 4 motherboard. 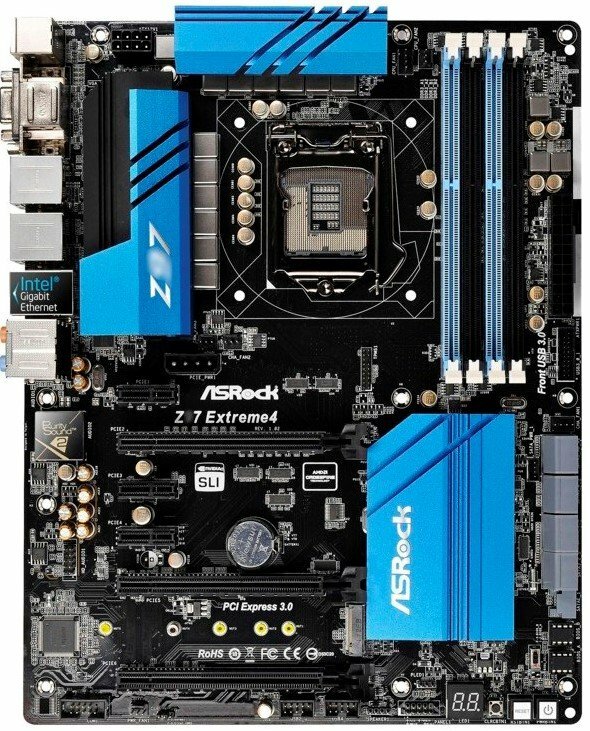 Next from the company is the ASRock Z97 Extreme 4 motherboard. Basically it shares the same features and specifications with the Extreme 6, but there are less ports, connectors or slots. It looks like it also has a 12 Power Phase Design with Premium Gold Caps and Digi Power. There are dual BIOS chips, Debug LED display, and power, reset and clear CMOS buttons as well. The Z97 Extreme 4 has only 6x SATA 6 Gbps ports and a SATA Express port. It only has one M.2 PCIE port for NGFF SSD and one Gigabit Ethernet LAN port. But it has 3x PCIE 3.0 x16 slots, and 3x PCIE 3.0 x1 slots. It features Purity Sound 2 Audio core, however it doesn’t seem to have an EMI shielding. If it does have an EMI shielding, the LED path might have been too small to be noticed when not lit. Looking at the real panel, I noticed that it has a VGA port, HDMI port, DVI port and a DisplayPort, suggesting that it can handle up to 4 display monitors connected simultaneously. But I still need to verify that. Now let’s take a look at the smallest motherboard in this lineup, the Z97E-ITX/ac. 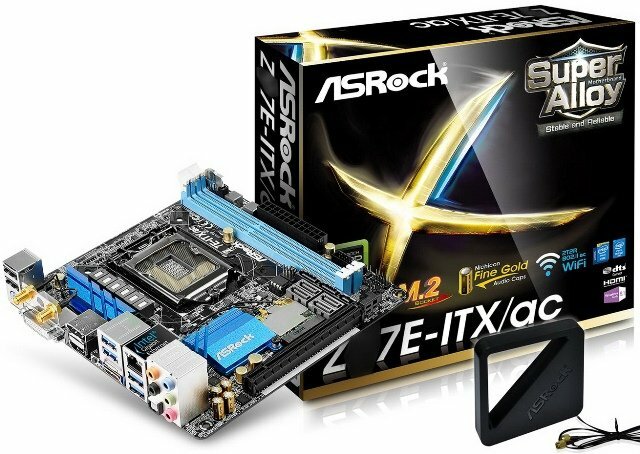 Based on its name alone, the ASRock Z97E-ITX/ac is a mini ITX motherboard featuring a WiFi 802.11ac wireless connectivity. Most probably it has Bluetooth 4.0 as well. This tiny board has a 6 Power Phase Design with Premium Gold Capacitors and Digi Power. It doesn’t seem to have a Purity Sound 2 core, but it has Nichicon Fine Gold Audio caps. 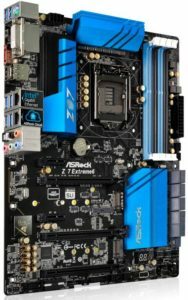 The ASRock Z97E-ITX/ac has 1x PCIE 3.0 x16 slot, 4x SATA 6Gbps ports and a SATA express port. If you noticed according to its box, it has an M.2 PCIE port. You might be wondering where the heck is that M.2 port? Well, the M.2 port cannot be seen from the front side of the PCB, rather it is located behind the PCB, just underneath the WLAN slot. 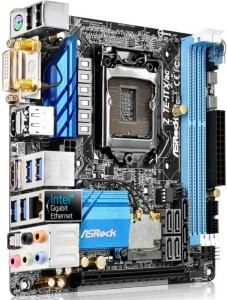 We will know more features and specifications once these motherboards goes official on May 10 (or after). Basically these 3 are an upgraded / updated version of their Z87 predecessors. 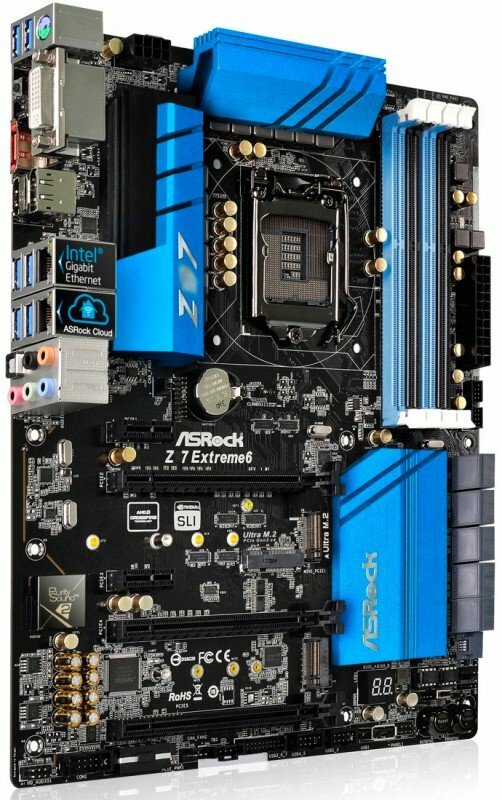 Expect that more ASRock Z97 motherboards featuring an Intel 9 Series chipset will be revealed in the following months / weeks to come.